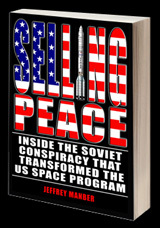 “Can Capitalism Survive in Outer Space?” This is the question that Selling Peace author Jeffrey Manber seeks to answer at the University of Michigan on January 12th. 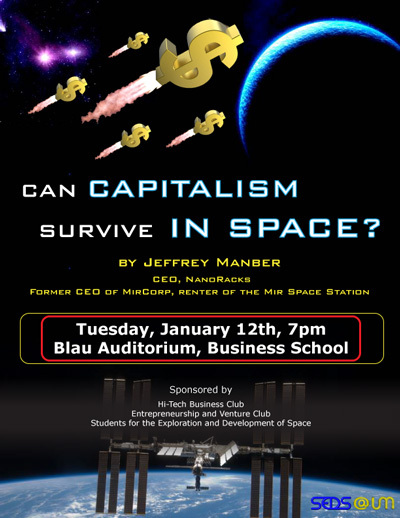 The talk is scheduled for 8:00 PM at the Blau Auditoriam at the Business School. 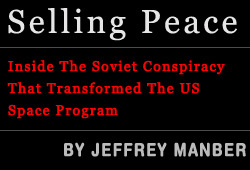 Posted on Monday, December 21st, 2009 at 4:10 pm	in News.